October is often associated with orange and autumnal colors thanks to Halloween and the fall season beginning. But another color with ties to the month is pink. As National Breast Cancer Awareness Month, October is the time when survivors, families, care advocates and others wear pink to show their support for those who are affected by the disease, directly and indirectly. Breast cancer is a dominant health care concern across the nation and the world. It's the second-leading cause of cancer death in women, according to the American Cancer Society. Breast cancer is also a condition that senior women have to be aware of. Age can be a risk factor in developing breast cancer, and retirees in a community should take action to get educated about the disease, as well as informed about potential treatment options. The World Health Organization estimates that around 1.38 million new cases of breast cancer and 460,000 deaths due to it are reported each year, making it the most common type of cancer found in women by a large margin. How breast cancer develops is still unclear, but advances have been made to more effectively treat it. The ACS said a woman's risk of dying from breast cancer dropped 39 percent from the late '80s to 2015. However, it remains a complex health care issue, even as medical technology and awareness advocacy continue to advance. Alzheimer's disease, dementia and reduced mobility are often seen by seniors as the most pressing health care concerns in late age. Yet cancer remains a constant risk to be aware of. More than half of all cancer occurs in patients in the U.S. who are 65 or older, according to National Cancer Institute data cited by a study published in The Oncologist, a medical journal. The average age of a woman diagnosed with breast cancer is 61. The impact of breast cancer in senior populations is further underscored by a different study BreastCancer.org said had found higher mortality rates in older women with same stage cancer and treatments as younger women. Knowing that age is a risk factor in breast cancer, it's vital that seniors become informed on prevention. Early detection is essential to effectively identify the cancer type and formulate a treatment plan. This is done through semi-regular self-examinations and annual mammograms. A misconception is that screenings become less necessary as you age, when the opposite may in fact be true. A Florida Atlantic University study found women aged 75 to 84 who underwent an annual mammogram had lower mortality than women who only had a screening every other year or none at all. Women who display other age-related risk factors should be particularly diligent to monitor their health. Oncologist Rachel Freedman, MD, at the Dana-Farber Cancer Institute said women who entered menopause after the age of 55 may be more likely to develop breast cancer. Increased exposure to estrogen could be at fault in such cases. Breast cancer is one of the more manageable cancers, dependent on early detection and course of treatment. That latter part is slightly altered for elderly patients by variables like age and presence of other conditions. The study in The Oncologist noted that two women with identical cases, both 80 years old and with the same stage and subtype of breast cancer, can present different symptoms given other conditions at play, like dementia. 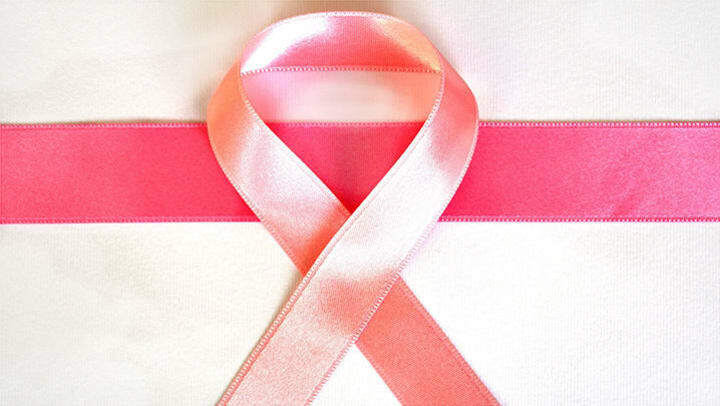 While an active 80-year-old may find effective treatment, breast cancer could actually be a secondary concern for other patients with compounding health concerns, which affects mortality. Finding effective treatment is a matter of looking at ideal options given age and preexisting conditions. The primary methods include surgery, chemotherapy, radiation and hormone therapy, which are all usually integrated into a single treatment plan. However, chemotherapy and radiation may not be needed for some senior women, who typically develop more favorable cancers that don't require invasive treatments, according to Freedman. If chemotherapy and radiation are needed, seniors have to consider the side effects of that treatment and how daily life may be changed. In any case, consulting with family and a team of physicians — both in primary care and oncology — will help seniors arrive at the optimal treatment plan to tackle the disease. Planning for retirement means taking into account all health care concerns, breast cancer among them. It's important that seniors be proactive in getting screened and considering their risk factors. In senior living, residents can ensure they receive high-quality medical attention outside of breast cancer treatment to take care of their well-being. Planning your or your loved one's retirement? Talk to us today for help.